San Diego CityBeat Cover Art by Dave of The Creepy Creeps! Congratulations to tattooist, Creepy Creeps and Creepxotica guitarist Dave Warshaw whose intricate ballpoint pen on wood art has made the cover of the August 15th issue of his hometown weekly, The San Diego CityBeat! 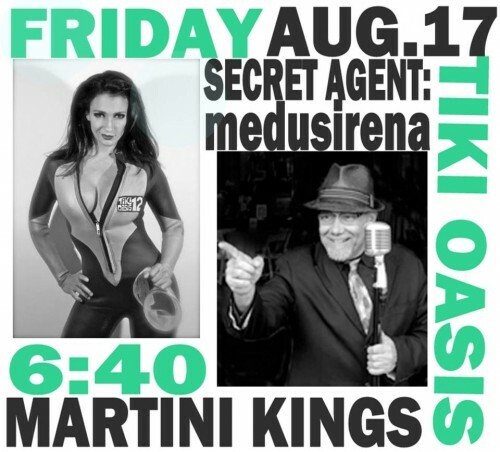 Perfect timing too what with Tiki Oais starting on the 16th! 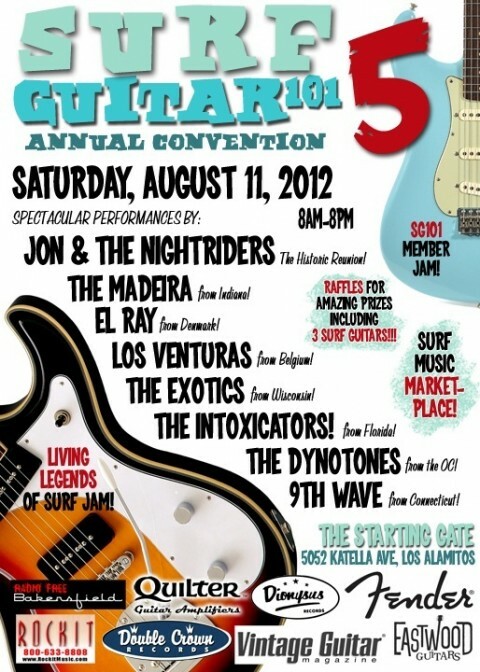 8/11: The 5th Annual Surf Guitar 101 Festival! Saturday, August 11, 2012 ! Machine gun staccato guitars drenched in dripping reverb, twangy plunk, bouncing bass, driving, tribal drums………most are unaware that the musical genre known as “Surf” that was catapulted onto the radar of modern pop-culture by Pulp Fiction has evolved and developed into a full-blown sub-culture with fanatic followers, complete with its own online ground zero, a website called (what else?) surfguitar101.com. Once a year, the fanatics convene for a marathon 12-hour festival of all things surf–live performances by 8 of the best bands in the genre from all over the world, a “Living Legends of Surf Jam,” which features performance collaborations from the original players that were there back in the genre’s 60s beginnings, a surf music and memorabilia marketplace, and an extremely generous raffle featuring music, clothing, collectibles, and musical instruments and accessories from prominent makers/sponsors such as Fender, Eastwood, Nocturne Pedals and many more! Now in its 5th year, the Surf Guitar 101 Convention has grown from a small gathering of geeks, to an all-out international festival, drawing attendees and interest from across the globe to Los Alamitos. Starting Gate, an all-age concert venue with full food menu and bar. 2012 promises to be the largest convention yet, with substantially increased advertising, marketing and corporate sponsorship. 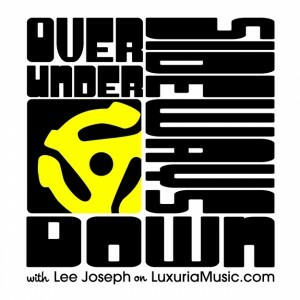 Here is the playlist and a podcast link from episode five of my “Over Under Sideways Down” show on LuxuriaMusic.com. This show featured a mixture of freakbeat, psych and heavy sounds some of which may freak out some of our dedicated garage and lounge friends. 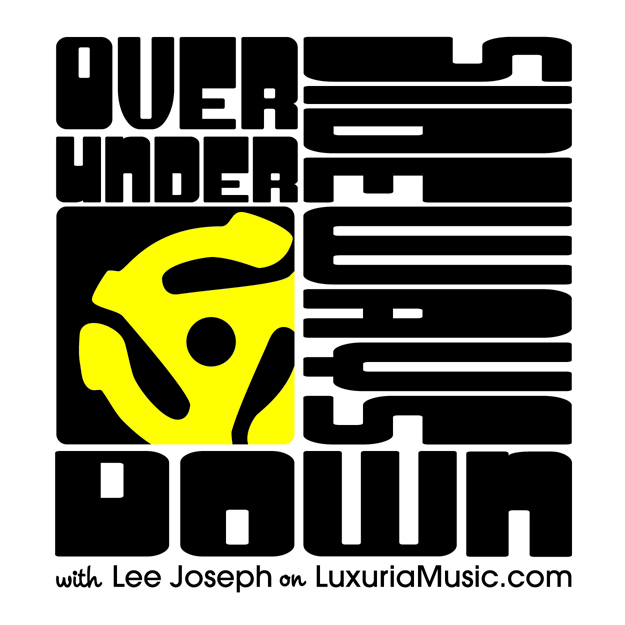 I personally love this stuff, and have deep roots here with a childhood fondness for what was called “underground music” at the time – and coming of age a stoner teen in the early ’70s. This show only scratched the surface so expect more in the near future! 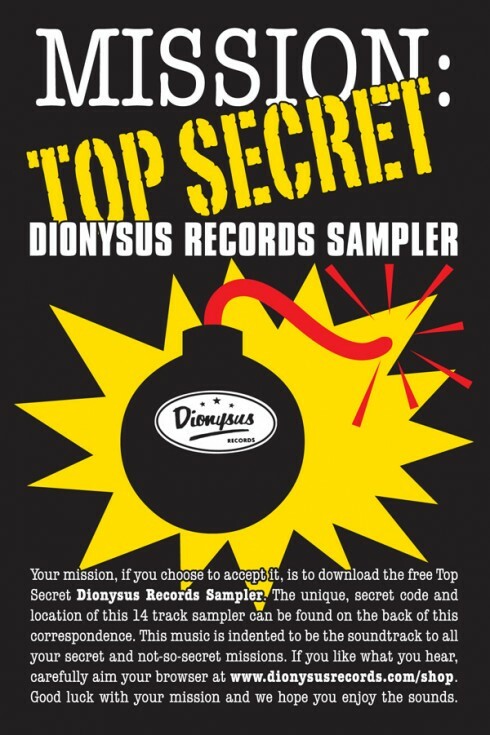 Note that the playlist below contains specifics on what source was used for the music played during the show so you can geek out. CHECK OUT THE PODCAST AT THIS LINK.